Contractors must now get close enough to their umbrella company so it can see that their physical appearance matches their original papers, in what seems to be an extraordinary regulatory update, writes Lisa Keeble of Contractor Umbrella. That’s because a significant change in the law, effective from May 16th 2014, signals that face-to-face meetings, or at least live video phone conferencing, will become a reality over the coming days between you and your umbrella, if you want it to keep compliant. To explain, all umbrella companies have a responsibility to ensure that their employees are legally entitled to work in the UK and, in so doing, should provide assurances to their recruitment partners. 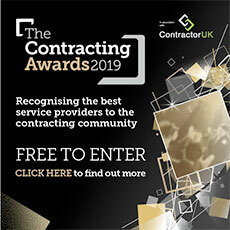 But a Home Office update to the ‘Code of Practice’ on preventing illegal working means that every umbrella company now has an obligation to meet with each contractor face-to-face to verify their non-photocopied documentation. Without these face-to-face meetings, or live video alternatives, between umbrella and contractor, the umbrella runs the risk of facing civil penalties that could reach up to £20,000 per contractor. The latest code updates the version issued back in February 2008, so some modernising of it seems appropriate. Alongside it however, the Home Office has also issued a reduced range of documents that would now be deemed as acceptable for checking the employee’s right to work. As we see it, the umbrella company has an obligation to be satisfied that each and every contractor on its books satisfies the ‘Right to Work’ tests. Accompanying Home Office guidance states that checking documents must be done in the presence of the contractor – a requirement that could prove difficult, practically, for a single premises umbrella (the employer) that has contractors (its employees) based in all parts of the UK. The Home Office has clarified to us that umbrella companies, as employers, do indeed need to see the original documents and cannot accept a certified copy of their documents. But there’s some flexibility. In fact, umbrella companies and their users will be glad to note that the Home Office says the umbrella can check that the original documents match the appearance of the person via a live video link. In short, if you’re an umbrella contractor, you must be present in person or via a live video link for your umbrella to check your original documentation against your physical characteristics. Some brollies might see the new requirement around verifying a person’s right to work in the UK as an excuse to meet their users in person. But we anticipate that, to ensure compliance and efficiency, almost all umbrellas dealing with new contractors will likely be contacting them in the coming days using FaceTime, Skype or other live video conferencing applications. It’s partly the implied reliance on such up-to-date software that makes us think that the Home Office has brought ID checks into the 21st Century.